MOST STOLEN CAR IN USA. According to LoJack the most stolen car in the US is the Honda Civic year 2000 followed by the Honda Accord. The american trucks are also chocolate sweet for car thieves. There are two news on this topic, one good and one bad. 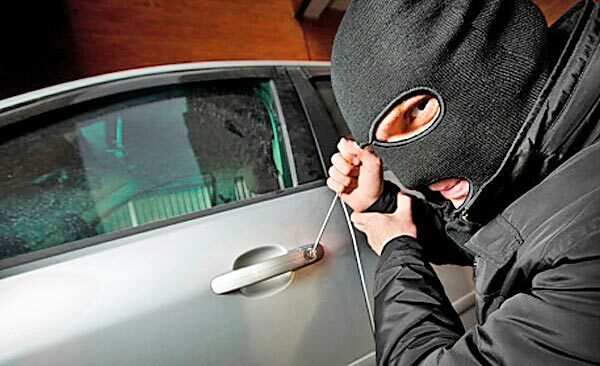 The good news is that the number of vehicles stolen in the U.S. dropped to its lowest level in 25 years thanks to factors such as new technologies, the bad news is that 43.2% of the cars stolen were never recovered, which indicates that thieves also catch up on techniques for their business. And while the number of stolen vehicles has declined in recent years in general, it is still a problem that generates $5,200 million in losses to the owners and it is increasing in specific areas such as California. The information was released by the company that makes the LoJack tracking system, by which 10.649 stolen cars were recovered in 2010, including sedans, SUVs, light trucks and motorcycles, equivalent to 90% of vehicles that had installed the device. LoJack is a vehicle tracking system installed at the discretion of the owner, and it consists of a transmisor-receptor of a particular radio signal to the police, which contains the serial number of the unit. The system operates even where the GPS of satellite communication doesn't work. The device is most effective provided it had been installed where the thief can not find it and removed. Honda headed the list of the most stolen and recovered cars with a total of 2,000 units of the Civic, whereas the General Motors models had the highest number of cars recovered. The first car recovered of 2010: A Toyota Highlander 2002, January 1st at 00:28 AM. The last car recovered of 2010: A Cadillac Escalade 2007, December 31 at 8:15 PM. The older stolen and recovered car : A Volkswagen Karmann Ghia 1956. The most expensive stolen and recovered car: Mercedes-Benz SL Class 2009 ($101,725). Multiple recovery: On August 28 at 1:28 PM, police recovered four vehicles in a single raid, exactly the same date and at the same time.